Exclusive: Arutz Sheva discovers Russia's Chief Rabbi Lazar visited Iran - on a mission for Russia's Pres. Putin. Arutz Sheva has discovered that Russian Chief Rabbi Berel Lazar recently visited Iran on a secret diplomatic mission. He was sent by Russian President Vladimir Putin. All official sources have refused to confirm details such as the purpose of the visit and the exact dates. 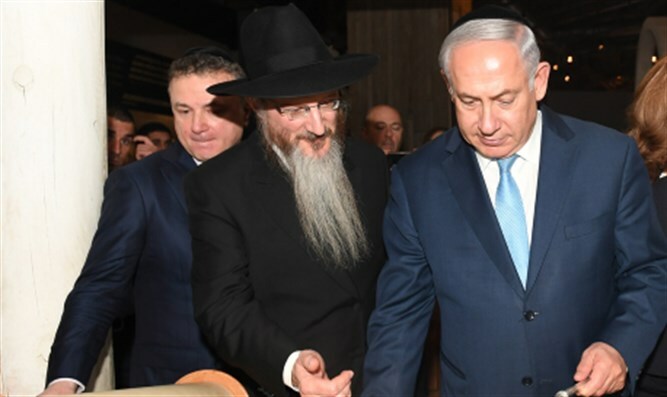 It is possible that Rabbi Lazar's visit to Iran is connected to Israeli Prime Minister Binyamin Netanyahu's attempts to prevent Iran from establishing itself in Syria. Earlier this week, the foreign ministers of both Iran and Syria signed an agreement to tighten military and security cooperation between their countries.